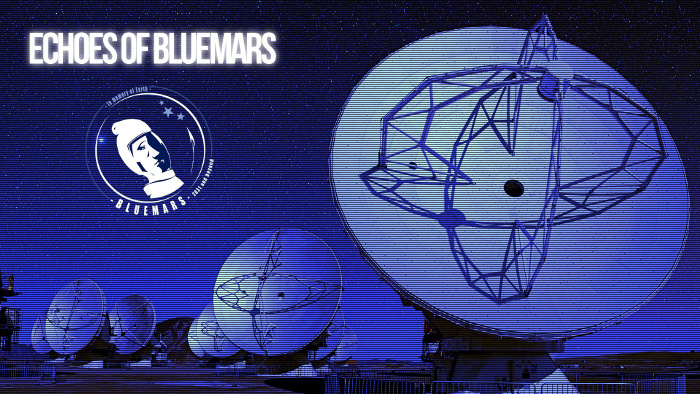 Bluemars hosted a set of my favorite ambient music streams, with flavors great for coding to, or sleeping to. It was created and maintained by lone starting in late 2000, and came and went over the years for various reasons. As of 2013-07-08, it looks like it may be down for good. Echoes of Bluemars is an effort to preserve the streams of Bluemars including its site style to a degree. I believe all streams are complete archives of Bluemars, though transitions between songs may be a little strange due to how the songs were saved from the streams. In time it might evolve beyond that, and I may try to replace songs with higher quality sources. Whether Bluemars was a favorite of yours, or you're just discovering it, sit back and soak up the ambiance. I hope you enjoy it as much as I do, and discover some new artists along the way.